Vietnam and the United States are exerting their full efforts to prepare for U.S. President Donald Trump’s visit to Da Nang this November for the 2017 Asia-Pacific Economic Cooperation (APEC) forum. Careful preparations are being completed for the trip, Ministry of Foreign Affairs spokesperson Le Thi Thu Hang declared during a regular press conference on Thursday evening. 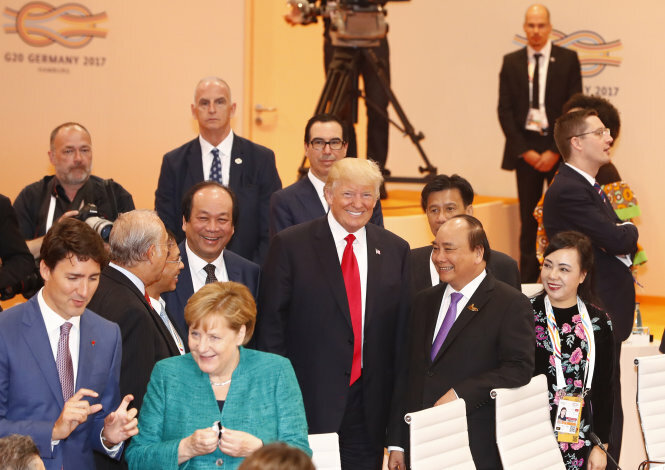 “During a meeting between Prime Minister Nguyen Xuan Phuc and President Trump, as part of the former’s official U.S. visit in May, President Trump stated he would attend the 2017 APEC,” Hang said. APEC is a regional economic forum established in 1989 and comprised of 21 member states, including Australia, China, Japan, South Korea, Thailand, the United States, and Vietnam. The forum is aimed at creating greater prosperity for the peoples of the region by promoting balanced, inclusive, sustainable, innovative, and secure growth as well as accelerating regional economic integration. Vietnam joined the forum in 1998 and successfully chaired APEC 2006. The country is scheduled to host the 2017 gathering in the central city of Da Nang in November. According to Lam Quang Minh, director of the Da Nang Department of External Relations, basic preparations for this year’s event have already been completed. Infrastructure, transportation, and accommodation are also being taken care of, Minh elaborated. Staff members have been sharpening their English skills for the event, the official continued, adding that 425 volunteers able to speak English and some other major languages have been selected to staff the event.